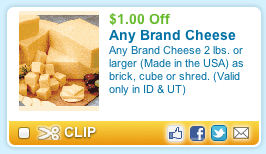 ANY Brand Milk & Cheese Coupons for ID & UT! 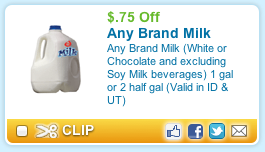 Coupons.com has a coupon for $.75 off ANY brand of milk for UT & ID! There's also one for ANY brand of cheese!